New Year's Day food traditions around the U.S. Here are some of the foods enjoyed on New Year's day in the U.S.A. We have carried on the tradition of our forefathers from other countries and made each one our own in each region. If we don't try all of these specialties on January 1st, I think we would be pretty lucky to try them on another day of the year - yum!! GreensCooked greens, including cabbage, collards, kale, and chard, are consumed at New Year's in different countries for a simple reason — their green leaves look like folded money, and are thus symbolic of economic fortune. In the southern United States, collards are the green of choice. It's widely believed that the more greens one eats the larger one's fortune next year. Legumes including beans, peas, and lentils are also symbolic of money. Their small, seedlike appearance resembles coins that swell when cooked so they are consumed with financial rewards in mind. 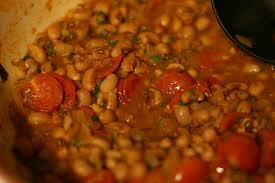 In the Southern United States, it's traditional to eat black-eyed peas or cowpeas in a dish called hoppin' john. There are even those who believe in eating one pea for every day in the new year. This all traces back to the legend that during the Civil War, the town of Vicksburg, Virginia, ran out of food while under attack. The residents fortunately discovered black-eyed peas and the legume was thereafter considered lucky. Throughout the coastal South, eating Hoppin' John on New Year's Day is thought to bring a prosperous year filled with luck. The peas are symbolic of pennies or coins, and a coin is sometimes added to the pot or left under the dinner bowls. 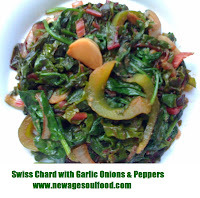 Collard greens, mustard greens, turnip greens, chard, kale etc. along with this dish are supposed to also add to the wealth since they are the color of money. On the day after New Year's Day, leftover "Hoppin' John" is called "Skippin' Jenny," and further demonstrates one's frugality, bringing a hope for a even better chance of prosperity in the New Year. The custom of eating pork on New Year's is based on the idea that pigs symbolize progress. The animal pushes forward, rooting itself in the ground before moving. Roast suckling pig is served for New Year's in Cuba, Spain, Portugal, Hungary, and Austria. 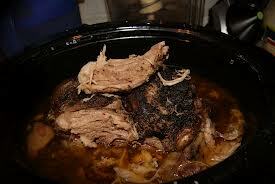 In the United States, where thanks to its rich fat content, it signifies wealth and prosperity. Are also a New Year's Day food. They are made for special occasions like the Day of the Dead, Christmas, New Year's or just about any other family or holiday celebration. 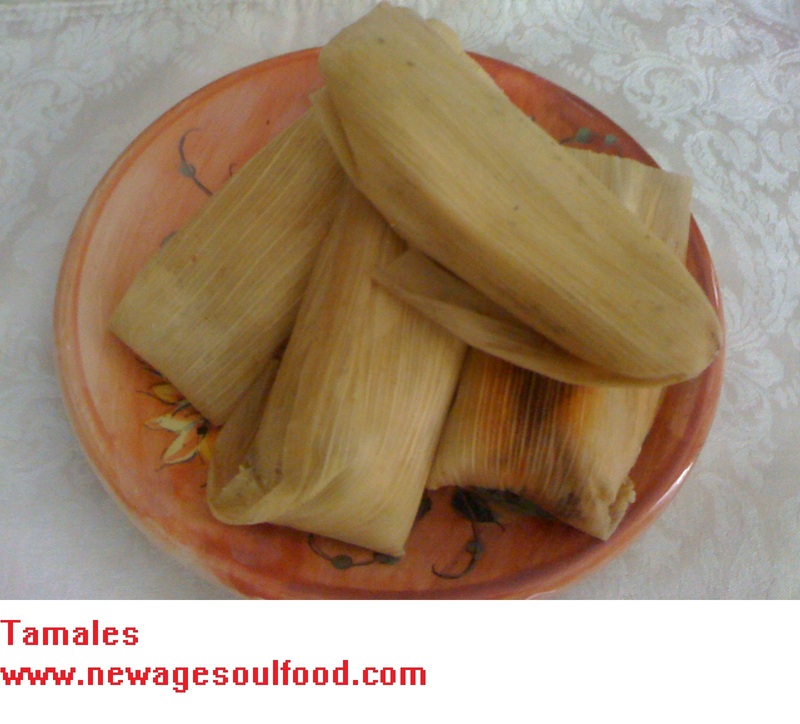 Tamale is derived from the word tamalii from the Nahuatl language spoken by the Aztecs. The word means “wrapped food”. No one knows for sure when or who invented the tamale, but we do know tamales have been written about since pre-Columbian days. In the 1550's, the Aztecs served the Spaniards tamales during their visits to Mexico.